Supporting FMCA activities such as RVing programs, regional rallies and international conventions. Everyone is welcome to visit one of our events as a guest prior to joining. 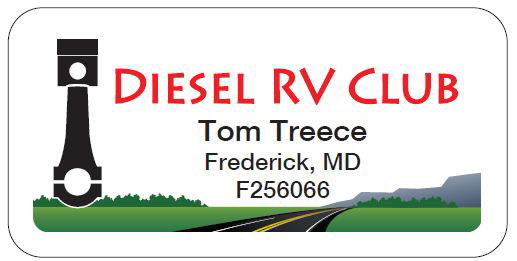 As a special offer, if you have joined FMCA within the past six-months, you are entitled to a 1 year free membership in the Diesel RV Club. We look forward to making your acquaintance. Join the club now. The Forum can be accessed from both desktop and laptop computers as well as mobile devices. The Forum is for FMCA members and non-members alike since the topics addressed are common to all coach owners. Since non-FMCA members participate in the Forum, a separate login is required. There is no cost to participate in the Technical Forum. Since membership in the Diesel RV Club is not required in order to participate in the Forum, a separate registration is required. Stated differently, even though a Diesel RV Club member has registered for the Club's website, the member will also have to register for the discussion forum as well. To go to the forum click on Forum in the menu bar above. Here is a quick link to the Family Motor Coach Association's RV Marketplace with information on vendors, exhibitors and advertisers. The most recent edition of Travelore (Spring 2019) can be viewed by clicking on one of the icons below. Travelore is produced four times per year in the spring, summer, fall, and winter. The spring and fall issues are also printed and mailed to subscribers. All four issues are available online in two formats. The Flipbook format is designed to serve as a digital magazine. It can display opposing pages and supports searching of text, zooming for viewing, printing, etc. It even provides page flipping sounds for the “feel” of a magazine. The PDF version may be downloaded to your preferred device for viewing offline. It allows readers to view content one page. It supports the standard features of Portable Document Format. Click on one of the images below to view the current version in your preferred format. 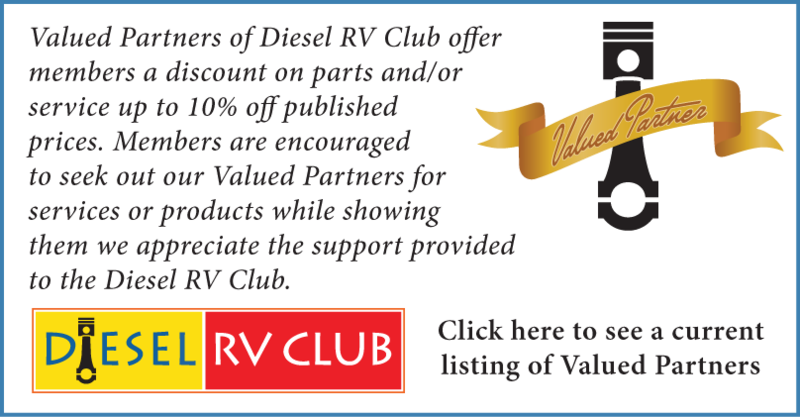 The Diesel RV Club receives some support from Cummins Power Club and highly recommends membership in Cummins Power Club to our members. The new badge comes with a magnetic clasp. The hole on the top is for a lanyard. The holes on the bottom are for an Officer dangle.